And now for a new feature: Friday Fashion Facts. Sometimes they will be useful and interesting, and sometimes they will just be nerdy and/or trivial. Tom Ford takes 4 hot baths a day! Oh, he must use lots of lotions as well! I know, right? Seems like it would be bad for your skin. 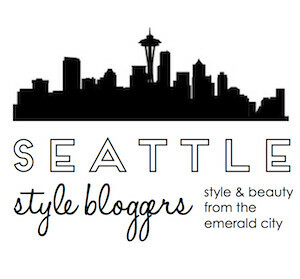 Just discovered your blog, and I'm loving it and your classy style! And, as for Tom Ford, I must say I'm a little jealous. I have lots of nice smelling bath stuff, and my tub doesn't even plug properly! How odd! My friend's doctor says most people are TOO CLEAN which can lead to skin problems and infections. I wonder how Tom Ford even has time for that! Each one must take half an hour, right? Plus lotioning and getting dressed again, that's all he must do all day! Cosmia, you should read the whole article. He's pretty odd, but I was a little endeared when I read the part about him hating to talk on the phone. I am the same way! TS, I'm pretty sure that's very true! Like those anti-bacterial body soaps are really bad for you, because they kill all the good bacteria that act as a barrier against the bad bacteria. Killing it all off can lead to yeast infections of the skin and other areas :/ I swear people would Lysol themselves if Lysol said it was healthy!